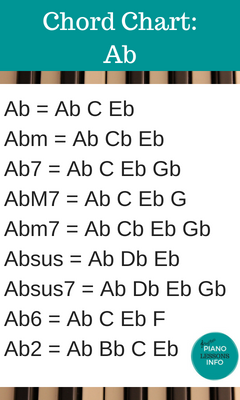 Need a Chart of Piano Chords? Well, look no further. Here you'll find a chart of piano chords. A chart can be really helpful when you're someone who likes to play chords. 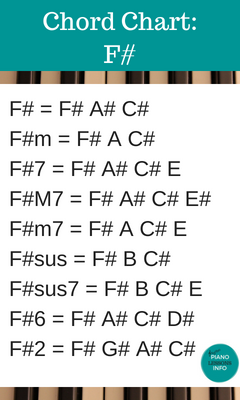 On this page, the piano chord charts list chords according to their starting note. 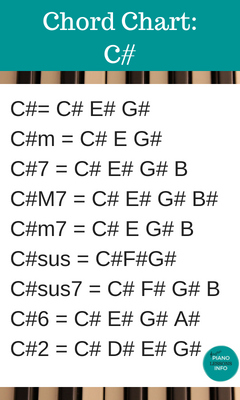 All C’s are together and so on. You can also find specific pages on major chords, minor chords, and diminished chords. 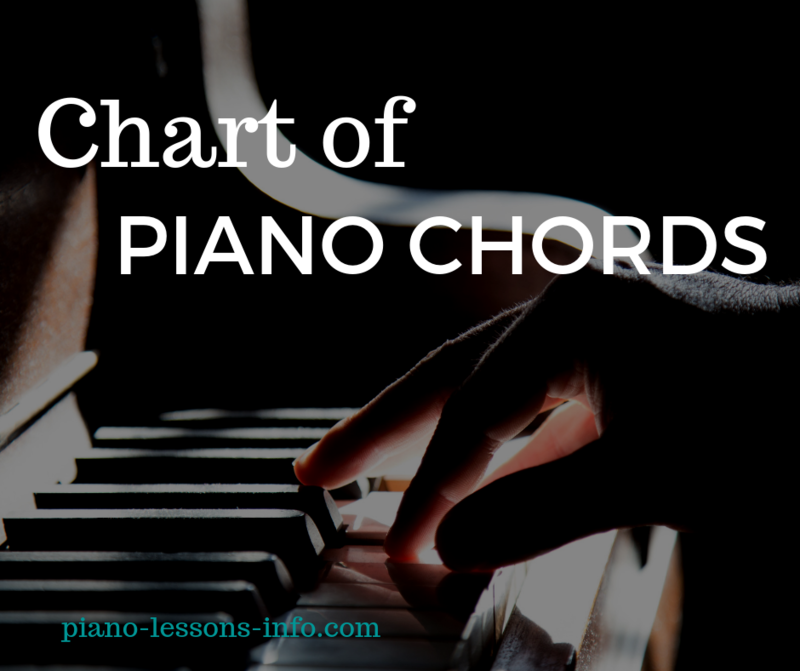 You’ll find a chart of those specific piano chords plus learn how to make them. There are two versions of the chord charts here. 1. Images you can save or pin. 2. Straight-up text that is able to be copied. 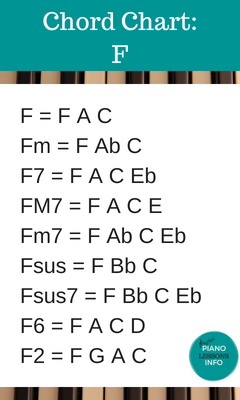 A chart of piano chords can be a great reference for you. 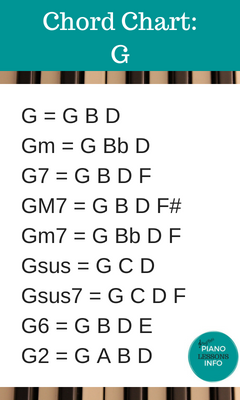 If you find that you don’t want to always be looking up a chord, check out piano chords diagrams. 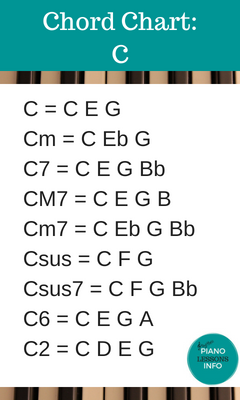 It gives you a basic formula for learning many of the different kinds of chords. If you really want to get to know chords and don't want to be referring to a chart of piano chords, you can read more about building them on the reading piano chords page or the chord theory page. And of course ... have fun playing them! 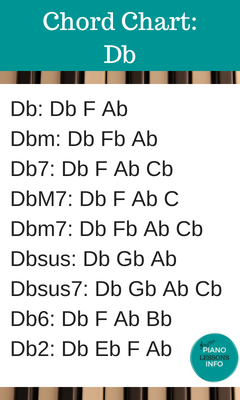 Different forms of music use chords differently. An Instrument like Harmonium which is popular in Classical Indian Music is similar to a Piano when it comes to chords and scales but only consists of 3 octaves and the keys are played with one hand only. 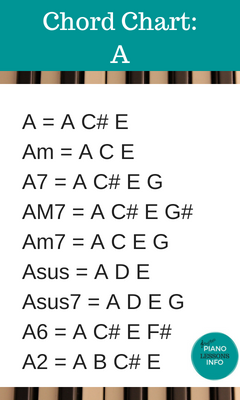 So if you get bored playing chords on Piano, try the same chords on a different instrument and you will be able to enjoy it as well.